Almost 700,000 more people could develop cancer in the next 20 years because they are overweight or obese. The warning comes from Cancer Research UK – and the charity says immediate action is needed to tackle Britain’s “alarming” obesity levels. Ten types of cancer are linked to obesity: cancer of the bowel, breast in older women, gallbladder, liver, kidney, womb, pancreatic, oesophageal, and aggressive forms of ovarian and prostate cancer. 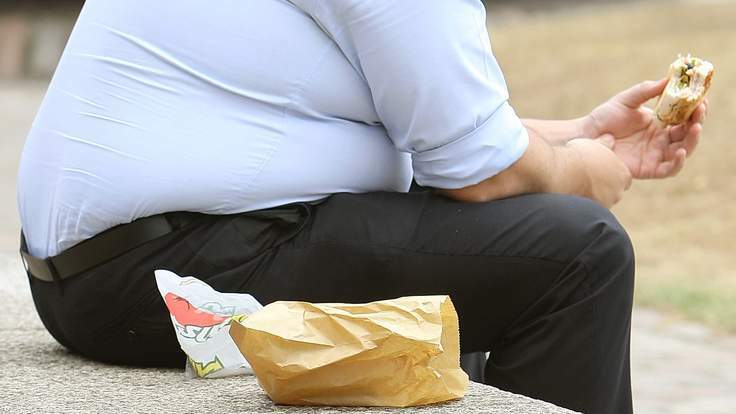 In a new report, Cancer Research UK and the UK Health Forum warn that current trends mean almost three in four adults will be overweight or obese by 2035. It also predicts that more people will be obese than overweight by 2030. Cancer Research UK is calling for a tax on sugary drinks, an idea backed by celebrity chef Jamie Oliver. Obesity can lead to cancer by causing changes in the body. In women excess fat can lead to more oestrogen which may cause cells to multiply in the breast and womb. Insulin and other growth factors can also rise, which can makes cells divide more rapidly. And cells in fat can release inflammatory chemicals – encouraging cells to divide including those with cancer. Mr Oliver said: “Being overweight or obese can cause many diseases including some cancers. “But I believe we can prevent the rising trend in obesity in the UK and across the world. Food education is key here. “If governments take children’s health more seriously and use education to inspire them, we could have a huge impact on their health and wellbeing. “We need to give these kids a chance to be healthier adults – starting with a tax on sugary drinks to tackle obesity and diet-related disease in young people. Cancer Research UK is calling for a 9pm watershed ban on TV advertising of junk food as well as a 20p per litre tax on sugary drinks. It says this is needed to cut the amount of sugar consumed, including by children and teenagers. Alison Cox, director of cancer prevention at Cancer Research UK, said: “Obesity will be a huge burden to society and the NHS in the near future. “We must act now to combat this threat and we need the Government to restrict the marketing of sugary food to children. “Kids are bombarded with advertisements for unhealthy food.